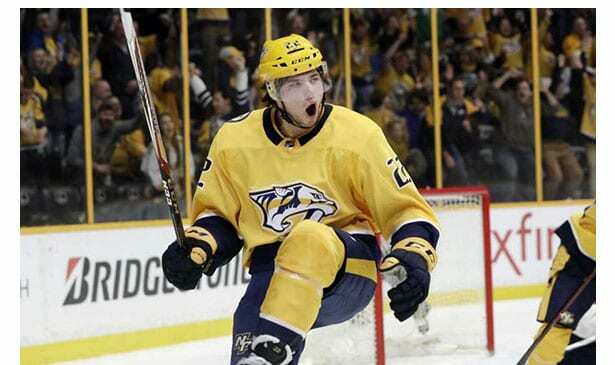 Kevin Fiala scored the first goal Saturday night for the Predators against the Florida Panthers. Nashville won its fifth straight 4-3 at Bridgestone Arena. The Nashville Predators matched their longest winning streak of the season Saturday night, taking their fifth straight with a 4-3 victory over the Florida Panthers at Bridgestone Arena. It was the first of two straight home games matching Nashville against Florida teams, and they got a boost from free agent acquisition Nick Bonino. He enjoyed his first multi-point game of the season, getting a goal and two assists. Kevin Fiala added two goals, while Calle Jarnkrok had a career-high three assists. But Predators head coach Peter Laviolette cited Bonino as the key to the win. ”His game has picked up in the last few,” Laviolette told the Associated Press. ”Probably more ice time by me, too, helps him with confidence. I thought tonight he was really strong, his head was up and he made great plays.” P.K. Subban scored to cap a three-goal second period, and Pekka Rinne made 37 saves to improve to 23-8-3 for the Predators, who matched their longest winning streak this season. Fiala gave the Predators a lead 36 seconds in. He scored on a snap shot from the slot, beating Sateri between his pads. Nashville took the lead in the second, starting with a goal 1:24 into the period that Florida challenged for goaltender interference. The goal by Bonino wasn’t even called a goal for a couple of confusing minutes, and the goal song even played twice. Jarnkrok had hit the puck over Sateri’s pad, Fiala put the Predators ahead at 10:53 with a wrister from the slot past Sateri’s glove, with Bonino feeding him the puck from behind the net. Subban added his 10th off a slap shot that went over Sateri’s right shoulder at 3:31 for a 4-2 lead. That gave Subban 34 points, tying him with Filip Forsberg for the team lead. Yandle pulled the Panthers to 4-3 with a slap shot from center ice that caught Rinne by surprise at 8:34 of the third. Florida pulled Sateri late, but Rinne made a pad save on a backhand from Trocheck in the slot with 1:15 left along with a flurry of other saves. Viktor Arvidsson returned to the lineup for the Predators after missing two games with a lower body injury. 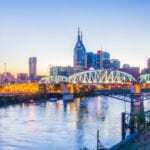 The Eastern Conference leading Tampa Bay Lightning traveled to Nashville Tuesday night to complete the two-game set against Florida teams.